… Foundation for he Advancement of Dentistry of the American Dental Education Association collaborate each year to identify and recognize award recipients. Glick received the 2012 award for his editorial in the Journal of the American Dental Association. Dental products that have been tested and approved by the American Dental Association will have the ADA Accepted, seal of approval. logo. 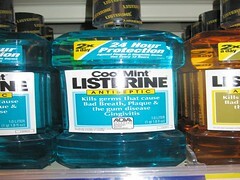 The logo is square shaped and contains the letters ADA as seen on the Listerine label.